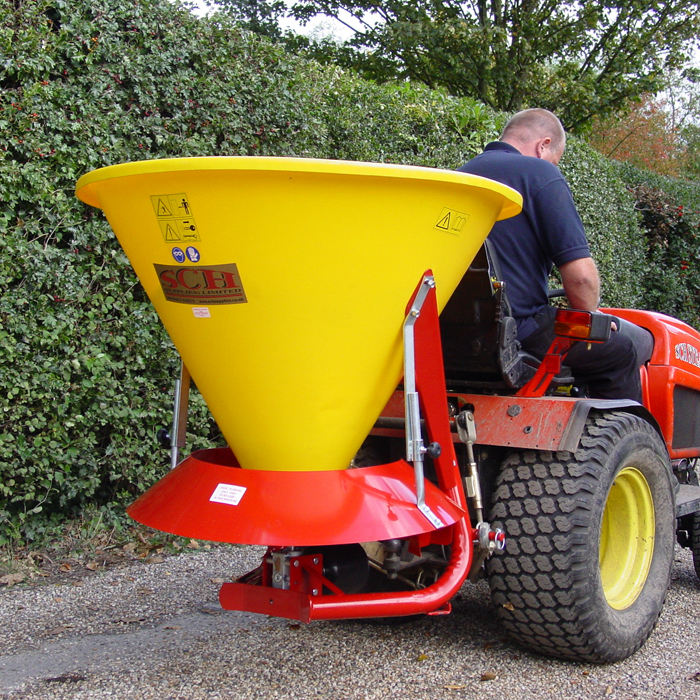 The PBS broadcaster is fully mounted with a three point linkage with a capacity of 250 litres. The broadcaster is capable of full width spreading or may be used with right or left shut off. The conical shaped hopper allows the material to free flow onto the spinning disc. A fixed agitator is incorporated. P.T.O shaft is suppled with the unit. A deflector guard may be fittred to destrict sand and salt distribution at extra cost. The P.T.O speed being 540 rpm.